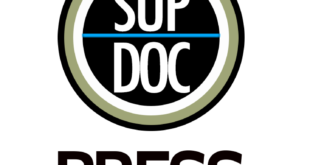 Sup Doc Podcast presents its debut LIVE show recrorded at Lost Weekend Video. 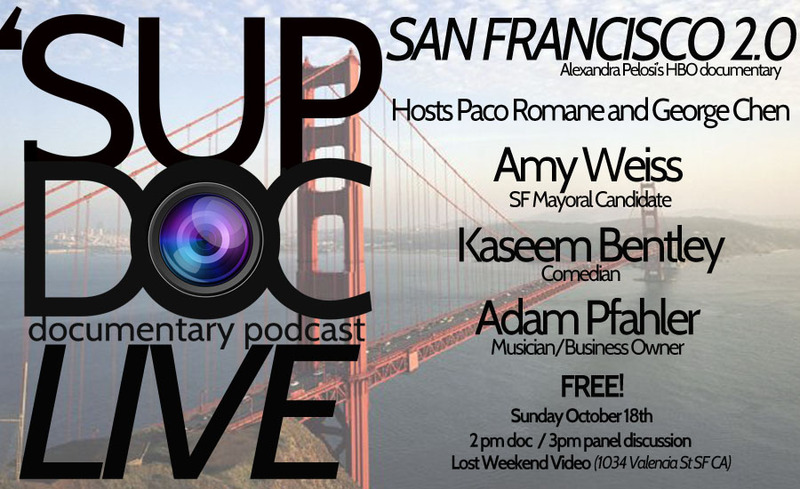 Bay Area comedians Paco Romane and George Chen invite a SF Mayoral candidate, a comedian and a Mission business owner/musician to discuss Alexandra Pelosi’s HBO documentary “San Francisco 2.0” about the changing nature of San Francisco and gentrification. Paco Romane has appeared on many television shows, films, commercials, plays and podcasts. He is a critically acclaimed award-winning comedian in addition to being an actor, voice actor, director, writer, musician, and producer. He was twice voted “Best Comedian” and has written for CNET, various ad agencies and comedy roasts. 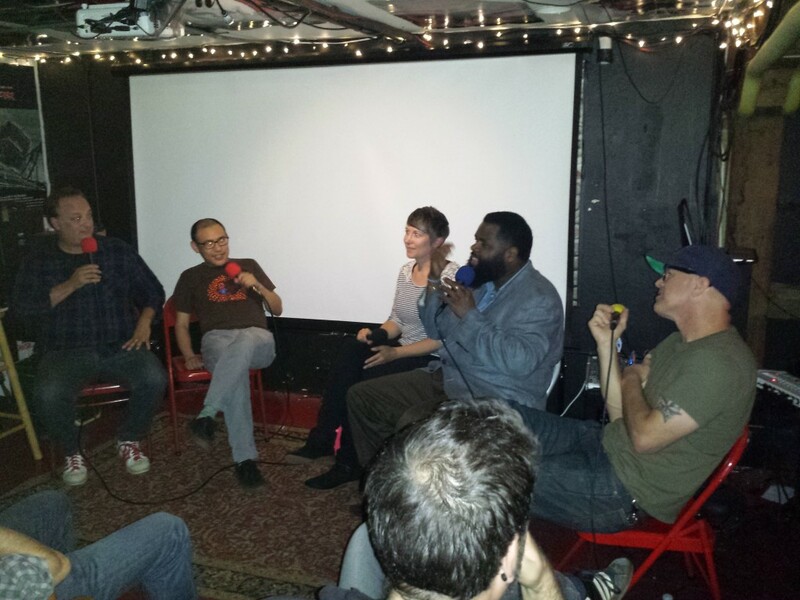 His nationally recognized comedy show The Romane Event is a staple in the SF comedy scene running for the past 10 years. His comedy has been featured on: Huffington Post, NBC, NPR, Funny or Die, Youtube, Cracked, NY Times, KQED and countless others. Would enjoy spending quiet time with his horses in upstate New York. George Chen has performed/hosted at SF Sketchfest, The Business, Put Your Hands Together Podcast, Marin Headlands Center for the Arts, Contemporary Jewish Museum, The Porchlight Storytelling Series, and SFMoMA. As an actor he had a small part as an INS agent in the short sci-fi film Mindglow and appeared in an episode of HBO’s Looking.